Garland O. Butler, 88, of Schererville (previously Highland), Indiana, passed away on October 19, 2018. Survived by three sons, Paul E. (Gloria) Butler of Schererville, Philip W. (Kimberly) Butler of Anderson, and Grant R. (Candace) Butler of Schererville; one daughter, Ellen R. Olinger of Portage; one brother, Billy W. (Georgia) Butler of Maggie Valley, North Carolina; 14 grandchildren; 10 great-grandchildren. Preceded in death by his parents, Maudie and Barnum Butler. Funeral services will be held Saturday, October 27, 2017 at 11:00 AM at Hillside Funeral Home in Highland, the Rev. M. Scott Barger and Rev. Edward Cunningham officiating. Burial at Chapel Lawn Cemetery, Schererville, IN. Friends may meet with the family on Saturday morning from 9:30 AM to the time of service at 11:00 AM at Hillside Funeral Home, 8941 Kleinman Road (1 block south of Ridge Road), Highland, IN. 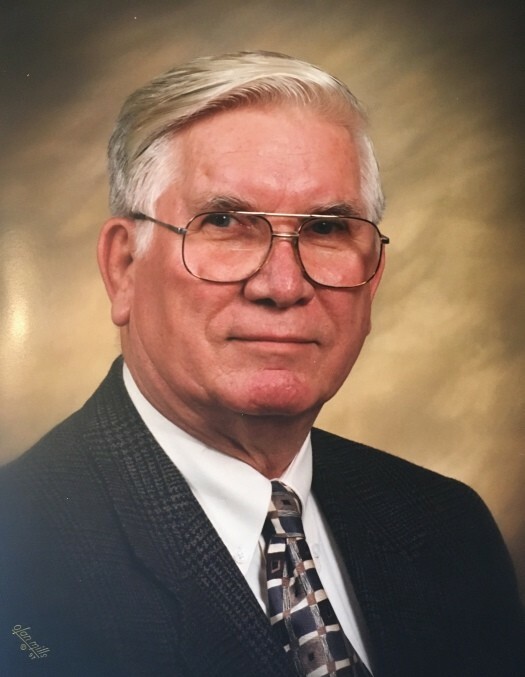 Mr. Butler was a resident of Highland for many years; was a member of Terrace Park Church of God in Hammond; retired from the Inland Steel Company after 38 years of service; and he served his country in the US Navy during the Korean Conflict. He was a devoted father, grandfather, kin, and friend who served his family, his church, and would help any in need. He was the teller of the most fantastic, hilarious, and wonderful stories to his grandchildren and any others who listened. He was a living example of integrity and love.